For Toronto 2017 North American Indigenous Games (NAIG) ambassador Cody Jamieson, the sport of lacrosse is more than just a game — it’s medicine. Jamieson was introduced to lacrosse by his father and older brother and played his first competitive game at age three. He went on to earn a scholarship to Syracuse University and has enjoyed a successful professional career with a number of top level leagues. outlet to release pent up emotions, which is why he says he uses it as a teaching tool when mentoring youth. Having competed at the North American Indigenous Games as a youth back in 2002 in Winnipeg, Jamieson says he still has fond memories and is excited to witness a younger generation experience the same thing. As ambassador, Jamieson is a proponent of the NAIG’s Team 88 initiative which promotes the positive impact of sport and wellness in Indigenous Communities. 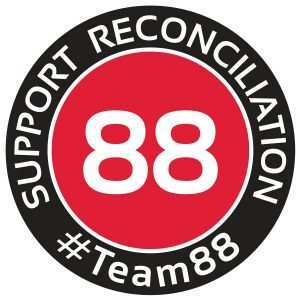 Named for the Truth and Reconciliation Commissions call to action number 88, the initiative also connects him to the Games in an uncanny way, having sported the number on his lacrosse jersey for many years. With the Games being in Toronto, Canada’s media epicenter, Jamieson is hopeful it will force the world to take notice of the wide pool of young Indigenous talent.